CHO, Seo-Young; DREHER, Axel Dreher; NEUMAYER, Eric. Does Legalized Prostitution Increase Human Trafficking?, World Development, Volume 41, 2013, Pages 67-82, ISSN 0305-750X. HERNANDEZ, Diego; RUDOLPH, Alexandra. Modern day slavery: What drives human trafficking in Europe?. 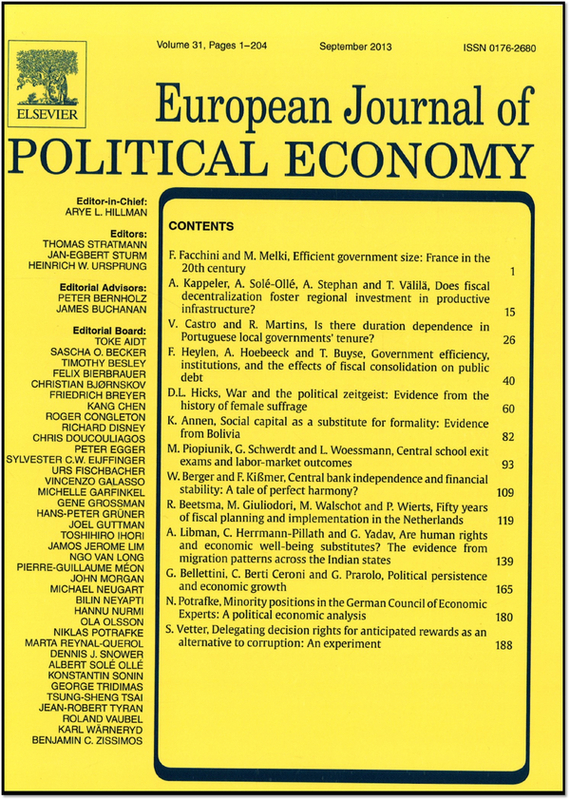 European Journal of Political Economy. Elsevier, June 2015. KONRAD, Renata A.; TRAPP, Andrew C.; PALMBACH, Timothy M.; BLOM, Jeffrey S.. Overcoming human trafficking via operations research and analytics: Opportunities for methods, models, and applications. European Journal of Operational Research; Elsevier, June, 2017. MAHMOUD, Toman Omar; TREBESCH, Christoph. The economics of human trafficking and labour migration: Micro-evidence from Eastern Europe. Journal of Comparative Economics, Elsevier, June 2010. VAN DER LEUN, Joanne. VAN SCHIJNDEL, Anet. Emerging from the shadows or pushed into the dark? The relation between the combat against trafficking in human beings and migration control. International Journal of Law, Crime and Justice. Elsevier, March, 2016. VIJEYARASA, Ramona. The Cinderella syndrome: Economic expectations, false hopes and the exploitation of trafficked Ukrainian women. Women’s Studies International Forum Elsevier January–February 2012. BLANCHETTE, Thaddeus Gregory; SILVA, Ana Paula da. A VÍTIMA DESIGNADA. Representações do tráfico de pessoas no Brasil. Rev. bras. Ci. Soc., São Paulo, v. 33, n. 98, e339807, 2018. SILVA, Sidney Jard da. BANCADA SINDICAL, POLÍTICA PREVIDENCIÁRIA E PROCESSO DECISÓRIO NO GOVERNO DILMA. Rev. bras. Ci. Soc., São Paulo , v. 33, n. 98, e339810, 2018. Clique aqui para ser redirecionado à página de Artigos.